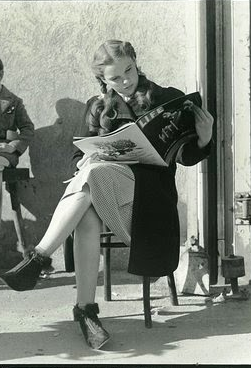 What’s New in Classic Film? Here is the screening that I so badly want to go to. For the 60th anniversary of Singin’ in the Rain, TCM is presenting a big screen showing of the movie in theaters across the country on July 12. It promises to be quite the event. And if you haven’t seen Singin’ in the Rain on the big screen before, you’re in for a treat–it is one of my all-time favorite movies to watch on the big screen. The colors come so alive, and the musical numbers are simply nothing like you remember them on your 25″ TV set. Keep a special eye out for the Broadway Rhythm number and how beautiful it looks on the big screen. It was clearly meant for the theater. For tickets, click on the poster and follow the instructions on the website. 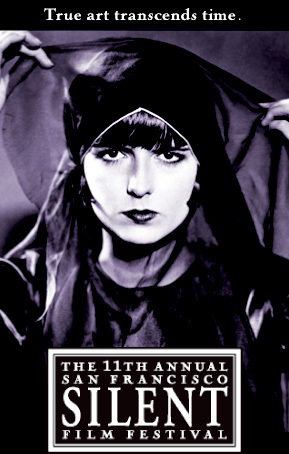 The 17th annual San Francisco Silent Film Festival kicks off July 12 and continues through July 15 in San Francisco, CA. The festival is highly renowned and very highly regarded, Leonard Maltin has called it “in a class by itself” and is a frequent guest speaker. The centerpiece film for this year’s festival is Pandora’s Box (1925), and other films being shown include Mantrap, Stella Dallas, Wings, and The Spanish Dancer. All showings will be at the Castro Theatre, and I have been honored to receive full press accreditation for the festival, so if you can’t make it, you can follow along right here! Last year’s festival was stellar–you can read my reviews of Die Frau, nach der Man sich sehnt and He Who Gets Slapped by clicking on the links. For tickets, please visit the official website at http://www.silentfilm.org or click here. If you’re traveling from outside the area, I would advise you to book your hotel NOW. Even though I live just across the bay, there is one night that I will have to spend in San Francisco, and I had a terrible time trying to find a room. All the hotels are filling up fast due to a parade happening that weekend. Something to plan for! As of June 26, The Artist has been released on DVD! It is now available in all the usual places–movie stores, online, Redbox, and to be ordered on Amazon.com. If you haven’t seen it yet, you are missing out on an incredible piece of cinema. However, like Singin’ in the Rain, it was simply meant to be seen on the big screen, so I’m interested to see how it holds up on DVD. I do believe that it is still playing at a few select theaters around, but I think you’d be hard-pressed to find one, so it looks like if you haven’t seen it, you’ll have to settle for the DVD version. Maybe they’ll re-issue it in theaters someday! This entry was posted in Lara Gabrielle Fowler and tagged Judy Garland, San Francisco, Silent Film, Singin' In the Rain, The Artist. Bookmark the permalink. I just bought “The Artist” on Blu-ray. Am curious to see how it will work on a smaller screen… I loved it in the theatre! I’m curious as well! I absolutely adored it–saw it twice in the theatre. There have been so many attempts to capture the spirit of classic Hollywood, and in my opinion, nothing has hit the nail more on the head than “The Artist” did. That’s true. The Artist was absolutely pitch-perfect. Seems that the TCM showing is conflicting with everyone! I was dying to go but I have theater tickets for that very afternoon. Fingers crossed they do what they did with Casablanca and do a second showing! Ooh, theater tickets! What are you going to see? The Little Mermaid! The six-year-old in me will be unleashed (hopefully it won’t be on the news “Young girl flies onto Little Mermaid stage to sing with cast”).